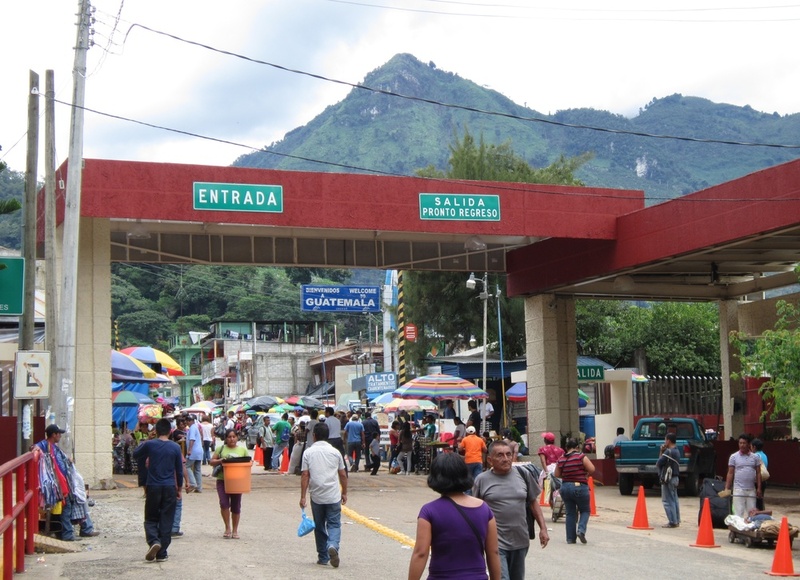 After considerable research and debate we decided to cross the border into Guatemala via Tapachula, Mexico. 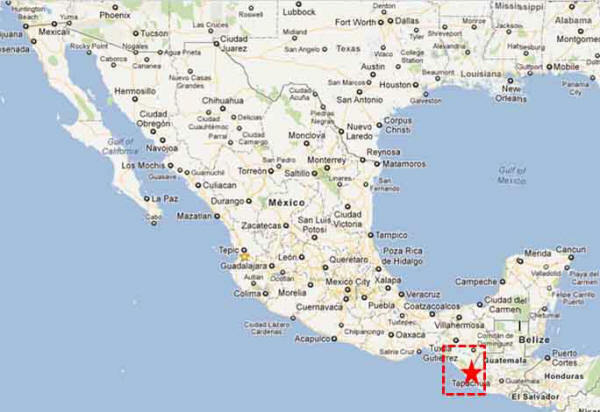 Tapachula is the largest city in Mexico that is close to the Guatemalan border (it's about 19 miles from the border). It is a sizable city. The debate was to cross here or further East closer to the popular expat town of San Cristobal de Las Casas, Mexico. While we both wanted to go to San Cristobal it would have added several hours more to our trip and we decided to save that city for a future run to Mexico. Because we were anxious to get into Guatemala and get settled we only stayed one night in Tapachula...and we are glad we only stayed one night. We found the town dirty and run down. It was definitely our least favorite stop in the country. Fortunately we were prepared for this. Many of the reviews of the city I had read in advance described the city in a similar manner. We stayed in a hotel that had really bad wi-fi, a good free breakfast and a staff that cleaned the car for free (something we found fairly common in Mexico). I tipped them with some left over US coin we had in the car...what else was I going to do with it. The next morning we woke up early and headed to the border knowing that it might take a while and we'd still have a few hours of driving in Guatemala before arriving in Lake Atitlan. This turned out to be a very good thing because the border crossing was confusing and time consuming. When pulling up we were swarmed with plain clothed, Mexican 'helpers'. They spoke very little or no English but were insisting that we'd need their help in figuring out the process of getting our car and family into the country because the process was not intuitive. Well, they were were right it was confusing to someone who spoke only rudimentary Spanish so we (I really) made the mistake of selecting someone to help us. He turned out to be a nice guy who made sure we got into the country legally BUT he made sure we went to all his friends for parking, photo copies and permitting (all of which are more or less required but all of which came with a heavy surcharge that I never should have paid). In short, I fell victim of being the dumb American at a border crossing and got taken for some extra cash. No I was not mugged or stolen from....just duped into paying too much and needing to tip people that were not part of the process. I could have and should have navigated it solo. Even during the process I knew what was happening, it was obvious, but after I initially accepted his 'help' it was hard to walk away. Lesson learned and fortunately it was not an overly expensive lesson. More importantly, we were now in Guatemala! YES! Soon we'll be looking for a house. Mexico done, Guatemala here we come!